On 20th September at 3.15pm gay radical artist & No Borders South Wales activist Babi Badalov was deported on a BMI flight to Azerbaijan. Babi sought asylum in the UK in 2006 following years of persecution because of his sexuality. When his brothers found out that he was gay they threatened to kill him: one attack left him with only eight teeth. His art & poetry also led him to become a target of government repression after mocking members of the ruling elite. The most famous led to threatening visits by the Ministry of National Security (MNS – Azerbaijan’s modern day version of the KGB). It was a photographic piece in which he parodied the ubiquitous statues of the Azerbaijani President Ilham Aliyev, who, following the collapse of the Soviet Union, destroyed many of Lenin’s & erected ones of himself instead. 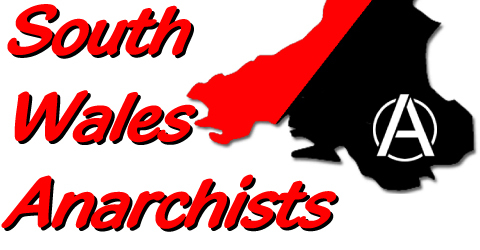 Babi was dispersed to Cardiff in December in 2006 & quickly became a central feature of the activist life. He regularly helped out at Cardiff’s social centre PAD, & despite his precarious immigration status was involved in many campaigns & was a much loved & active member of No Borders South Wales. The next day an emergency demo was held outside the Border Agency on Newport Rd, Cardiff. Over 50 people came together to show their solidarity with Babi & the front steps of the building were covered in banners. Late that night he was then transported under the cover of darkness to Campsfield detention prison, Oxford. Whilst in detention Babi received a medical examination. The subsequent report strongly recommended that Babi be given a proper psychiatric evaluation. Despite this, the Home Office continued with its plans to deport him at 8pm on Saturday 20th on an Azerbaijan Airlines flight to Baku. However, following a huge amount of harassment from friends, supporters & many other activists from around the country, Azerbaijan Airlines bowed to the pressure & refused to carry him. This did not stop the Home Office though, & his deportation was rescheduled to a British Midland Airways (BMI) flight at 3.15pm the same day. This time, despite a huge struggle which continued right up until the last minute, Babi was finally deported. “While Babi is currently safe, if anything happens to him the state & BMI will have blood on their hands. His deportation has left a huge hole in all his friends’ lives & demonstrates the brutality of immigration controls. He was ripped away from his new home, friends & people that loved him just so the government can keep its deportation statistics up. We didn’t fight to keep Babi here out of compassion or because he had suffered. We don’t care why Babi came. We fought for Babi because he is one of us, a fighter for freedom of movement, for equality & a world without borders”. Babi’s deportation has left us all saddened & very much in a state of shock. But it has also doubled our resolve to continue to struggle for an end to all migration controls & the criminalisation of people who have done nothing other than cross artificial – yet brutally real – borders, in order to build new lives for themselves. We are now more than ever committed to fighting for a world where people are free to move as & when they like. Where people’s relationships can not be torn apart just because someone happens to have been born in one place rather than another. No Borders. No Nations. Stop Deportations.